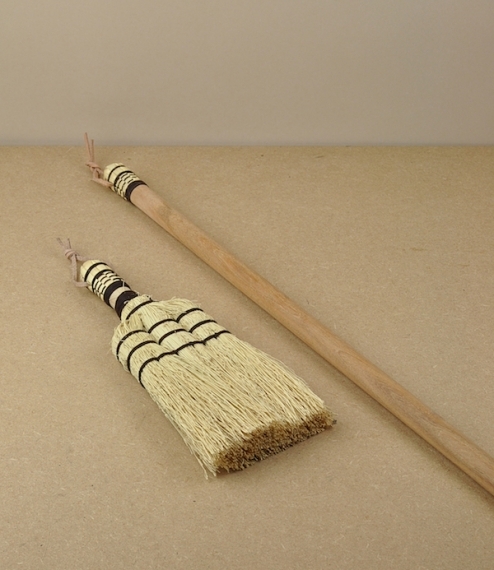 Small hand and mid-length brooms of a traditional type from a small craft workshop in Thailand. 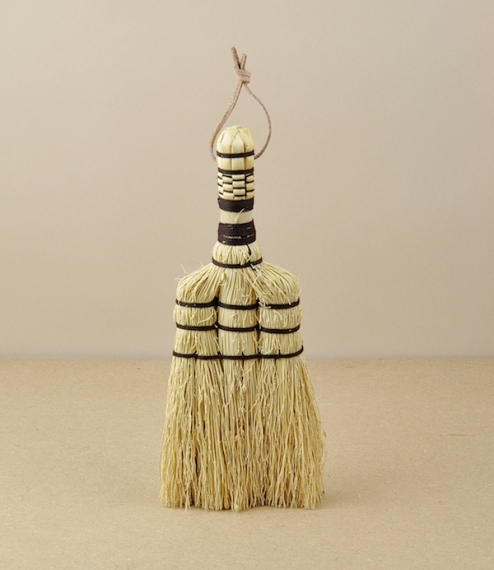 Sorghum is more commonly know as rice straw or even broom corn in the west and refers to a group of grasses used for brush-making throughout much of the world. 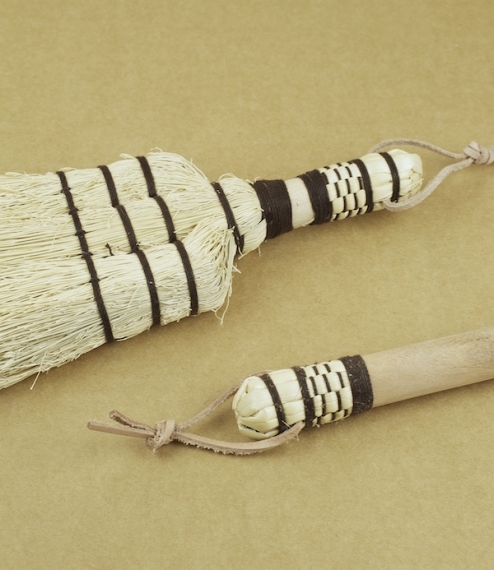 Undoubtedly similar to the grass used in our Japanese and European brooms this seems finer than either producing a slightly denser but curiously stiffer seeming brush. 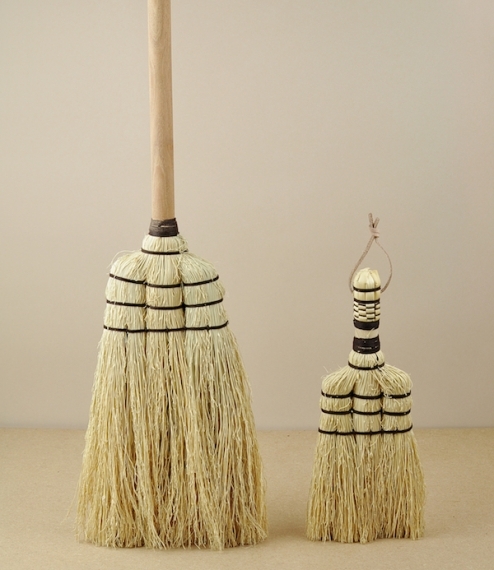 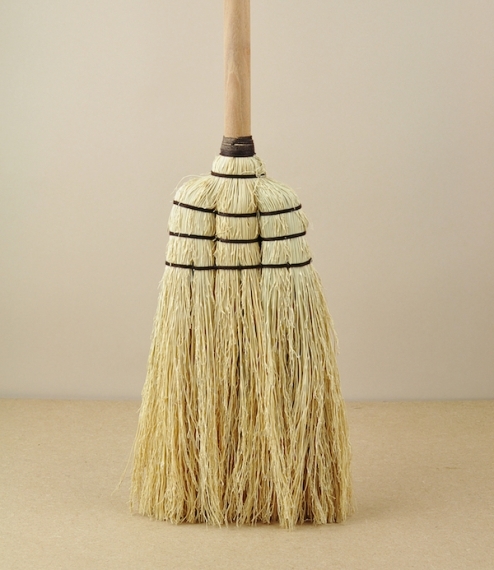 The hand broom measures approximately 27cm, by 12cm, by 4cm; the longer broom comes to about 101cm by 18cm, by 5cm.